The first birthday party of the year for Rhianna today. 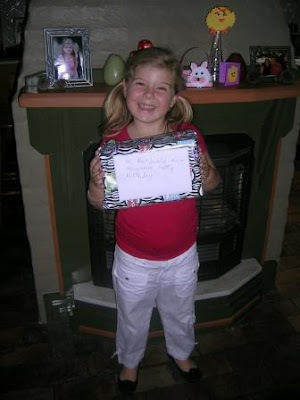 It was for a little boy in her class at school. I racked my brain trying to think of a home made gift for a 6 year old boy but I just couldn't come up with anything that wasn't a bit lame. Hence a trip to Toys R US. Does anybody have a suggestion for next time? A lovely friend named Michelle has taken on the challenge to teach me to crochet. We started last week while our daughters were at dance class. Below I present one hours worth of crochet. Unfortunately, my dog Finn got hold of the ball of wool this crochet was attached to and had his own attempt. Sorry Michelle, I owe you one ball of wool. 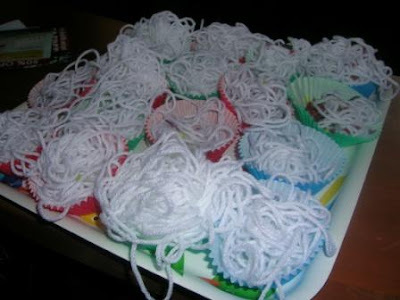 Rhianna decided to recycle the remains of the wool into "spaghetti cupcakes" - Close your eyes now Michelle. This is my food waste for this week. Again with the shallots. They are the bane of my existence. 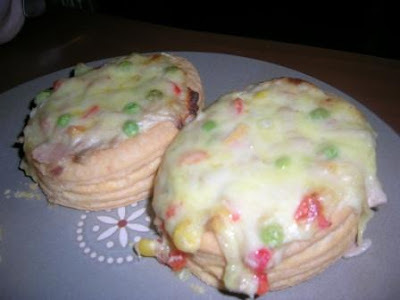 Dinner tonight - seafood vol-au-vents. We've been doing these for years and we all love them. Hope everybody is enjoyong their weekend. Guess what I'll be making for dinner this week - funnily enough I actually picked a packet of vol a vents last week but put them back on the shelf :-). 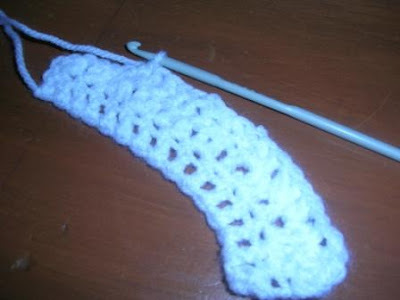 Glad you've got a new crochet teacher - if I can work it out it can't be that hard :-). I'm very proud that I've finally worked out the granny square - after a couple of attempts. You just need to right teacher and technique. 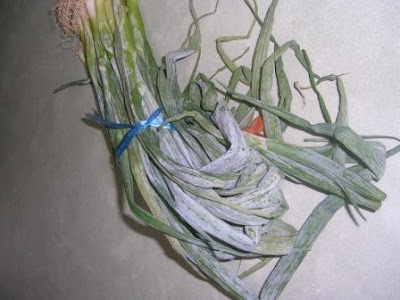 Shallots used to be wasted in my home too, until my gardener dad suggested keeping a pot of soil outside, and just putting them in the soil until you need a shallot. He has been doing it for years, and no waste! Happy to be 'right teacher' for you Ness - see, you are NOT remedial! And I love the spaghetti cupcakes - well worth a ball of wool! Maybe you could try baking them for real this week? Can't you just ditch the shallots?